My youngest son watches this DVD daily. In addition to the songs and activities that are typical for the Elmo’s World segments, he adores the babies. Many parents have realized that, for some kids, the Elmo’s World portion of the Sesame Street programming is the highlight of the show. 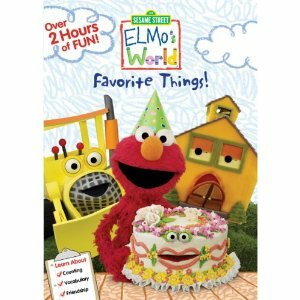 Save yourself the trouble of fast forwarding on your DVR, and get this DVD for your little Elmo aficionado. If you have a hard-core Elmo fan boy (or girl) in the home, the investment is a wise one. Pricing for this DVD, which includes several bonus components such as a game, tips for parents, and a downloadable 10 digit to the book, is under $11 at Amazon.com -- you may also chose to download the digital version. Sample was received for review. Opinions are 100% my own.